This bright & beautiful salad is a real show-stopper. The colors are obviously incredible...I recommend using multiple varieties of both beets (red, yellow, pink, candycane/chioggia) and oranges (navel, blood, cara cara, mandarins) for a maximum color & flavor experience. 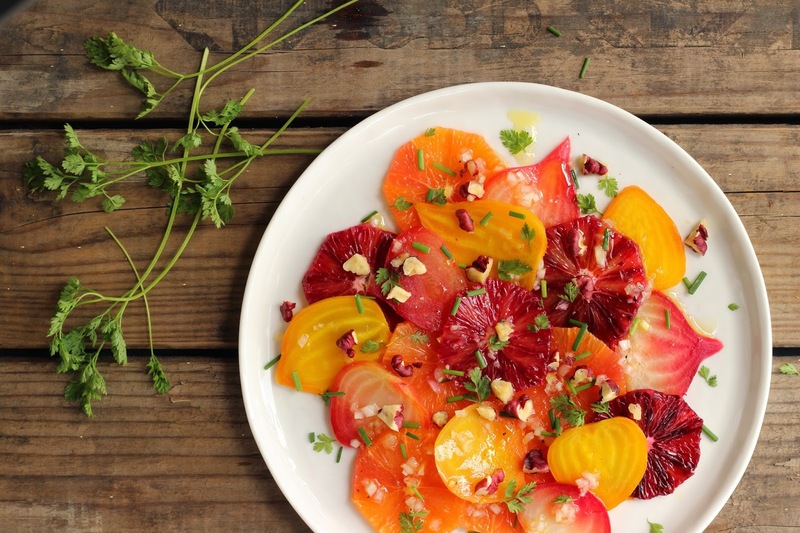 Oranges & beets are delicious together and they are especially tasty topped with a simple vinagrette, fresh herbs and crunchy, toasted walnuts. I used chervil & chives in the recipe, but feel free to get creative with your herb choices...you really can't go wrong. Plus this salad is totally healthy & 100% vegan, so you can feel great about eating it! Preheat oven to 400 degrees. Wash beets and wrap in aluminum foil. Roast beets for 45-60 minutes - until tender when pierced with a paring knife. Remove from oven and foil and cool to room temperature. (Beets can be roasted up to 2 days ahead - store in refrigerator until ready to assemble). Using a sharp knife, cut skin & pith away from the entire orange. Cut orange crosswise into 1/4 inch thick round slices. Combine shallot, white wine vinegar, olive oils and salt and pepper in a small bowl. Whisk to combine. To assemble, peel beets and cut into 1/4 inch slices. 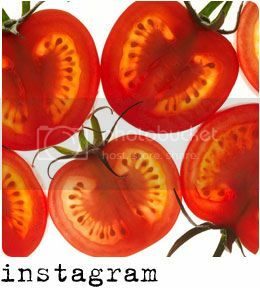 Place orange and beet slices on a serving platter, or individual salad plates, a single layer, slightly overlapping each other on the edges. There will probably have more beets than oranges, so space out the oranges evenly among the beets. Spoon dressing over salad. Sprinkle with chopped herbs & toasted, chopped walnuts.